Jamboree participants will attempt to break the world record for dreidel spinning. Photo by John Lopez/CC. Help Spin 618 Dreidels, Break a Record! Can they break the the "618 spinning dreidels" record? Scouts and Venturers will try tomorrow at 3 p.m. at an event hosted by the National Jewish Committee. All jamboree participants and visitors are invited to join the attempt to break the record. 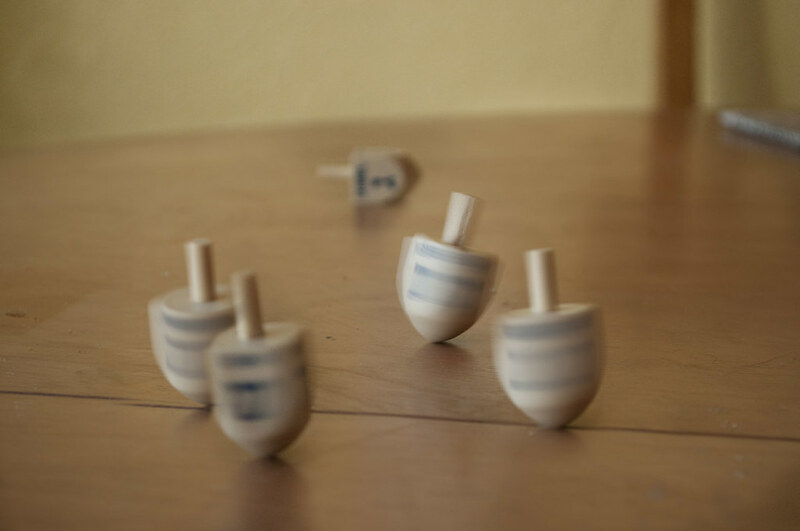 The current record is held by Yeshiva University, with 618 people spinning dreidels. Every participant helping break the record at the 2013 National Scout Jamboree will receive a chance to win one of four Kindles offered by the committee. In addition to the attempt to break the dreidel spinning record, the National Jewish Committee will host other games and contests at the same time at the Faith and Beliefs area at the Scott Summit Center. "While people play these games, there will be information on (Jewish) history and culture," says Bruce Streger, chairman emeritus of the Jewish Committee on Scouting. For participants who are not Jewish, this is an opportunity to learn about another religion outside of one's own. The remaining games coinciding with the record attempt include a chance to win a flat-screen tevision. One of them is Kim's game, which is a game of memorization, and is also played at Brownsea Island. Another game is a twist on the ball in a labyrinth game. The twist involves the Scout ranks, and stages of Scouting in the path of the labyrinth. The top four people, with the shortest combined time on both games, will win flat screen TVs.